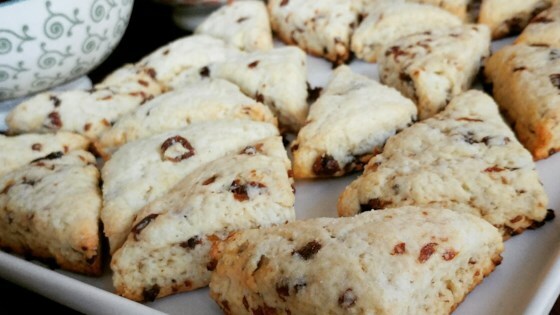 These easy scones make breakfast or afternoon teas something special. I found these to be tasty but more of a cakey cookie than a scone. I prefer my scones more like biscuits, less cakey.